Mariah Carey might have taken her chair on the judging panel for the next season of American Idol but not one to stay down for long Jennifer Lopez is set to wow with her new music video Goin In. And the music veteran sure does know how to cause quite a stir as she sets temperatures rising in the 30 second first look at her latest offering. In the short clip Jennifer proves that she still has plenty to offer as she gives her younger competitors a run for their money. The video begins with the siren showing off her sensuous lips which are covered in purple diamante stones. As the shot becomes wider, the mother-of-two who celebrates her 43rd birthday today, stuns in a silk purple cloak as she lowers her sunglasses. Then putting her taunt stomach on show, she stands in white fitted cap, a white crop top embellished with diamante complete with the matching bottoms, sliver trainers and a yellow hoodie as she readies a high energy dance sequence. In another scene she shows off her famous curves in another crop top and a pair of leggings as she seductively sways her hips. And keeping the pulses racing, the singer struts her stuff in a white one piece topped with a shiny crop jacket. 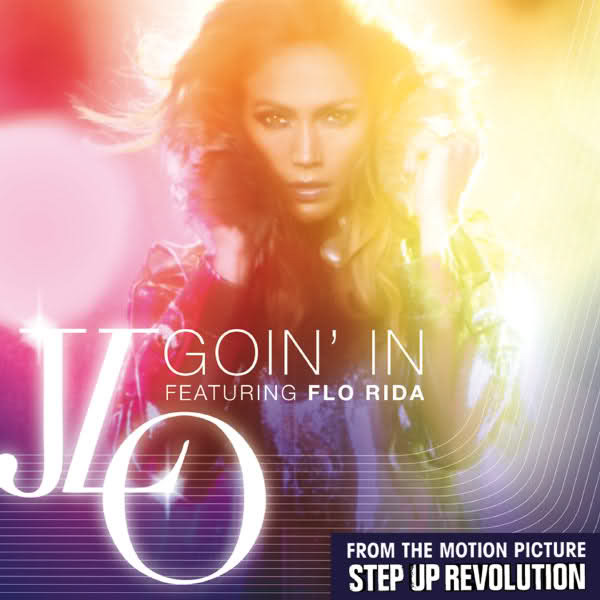 The song which appears on the soundtrack to dance movie Step Up Revolution features vocals from rapper Flo Rida. The full video for her new single premieres tomorrow on MTV, and excited to give her fans an exclusive sneak peek, she took to her Twitter to drum up some hype. Last night Jennifer was spotted in New York with her beau Casper Smart as they headed to dinner. The couple appeared to be enjoying each other's company as they sat down for a meal at Cipriani. Wearing her hair up in bun, Lopez kept it simple in a white loose fitting top which she teamed with leather trousers and a black chunky heels. Casper looked dapper in a black suit as he walked hand in hand with his superstar girlfriend.